For our Christmas Concert, Walton Oak School joined us and we combined to sing a couple of pieces, this being one of them by John Rutter. Walton Voices aims to be a choir with the local community at its heart; the Choir actively seeks ways to support organisations and promote the arts in Elmbridge. The Choir regularly participates in community events: for example, carol singing at the Heart in Walton, the Medicine Garden in Cobham and Walton Day Centre, as well as at local care homes and hospices. 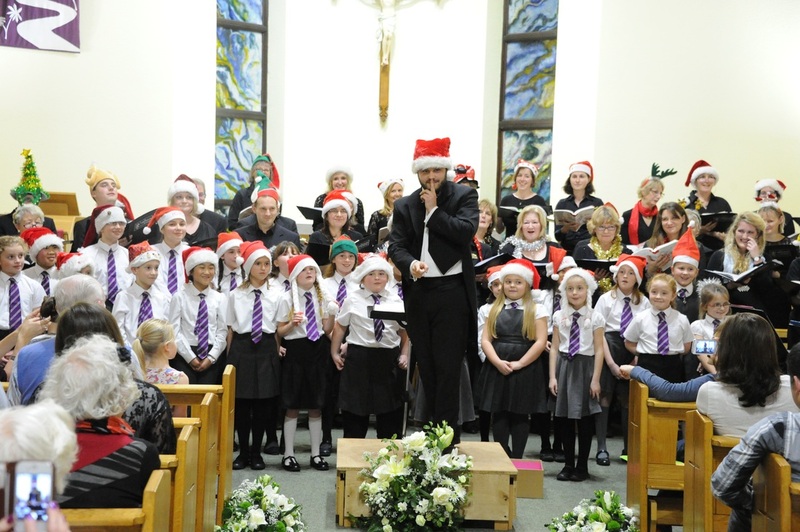 Recently the Choir has also worked with local schools to support their music curriculum as well as giving children the opportunity to rehearse and perform with the Choir. If you have an event you would like the Choir to be involved with, please contact a member of the Committee with details. At our 2017 Christmas Concert we raised £533.47 for the local charity, White Lodge Centre, which provides support for disabled children, young people and adults - and their families and carers.